Datsun was first called DAT from the initials of its financiers – Den, Aoyama, and Takeuchi. Soon, the name was changed to DATSON to imply a smaller version of their original car; later it was changed to DATSUN when the company was acquired by Nissan. The company name ‘Parle’ is sourced from the name of a Mumbai suburb – Vile-Parle. Parle Group was founded by Mohanlal Dayal Chauhan in 1929. Here’s a story about snapdeal.com. In June 2011, Snapdeal adopted Shivnagar, a small village in Uttar Pradesh with no potable water. The Indian e-commerce company installed 15 hand pumps, so villagers no longer have to walk for miles to get water that would help them meet basic needs. To show their gratitude, the villagers changed their village’s name to snapdeal.com Nagar. Click here to read more. 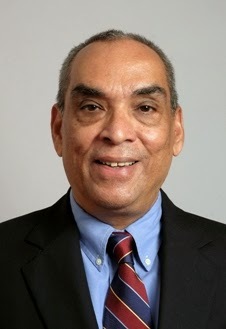 Ajit Balakrishnan is the founder and current Chairman and Chief Executive Officer of Rediff.com. He is also the current Chairman of the Board of Governors of Indian Institute of Management Calcutta (IIM Calcutta). In fact, he holds a PGDM from IIM Calcutta (Class of 1971). Significance of today in history? On 3 December 1971, Pakistan launched a pre-emptive strike against India; this led to a full-fledged war between the two nations, which, just 13 days later, led to the birth of Bangladesh as an independent country.